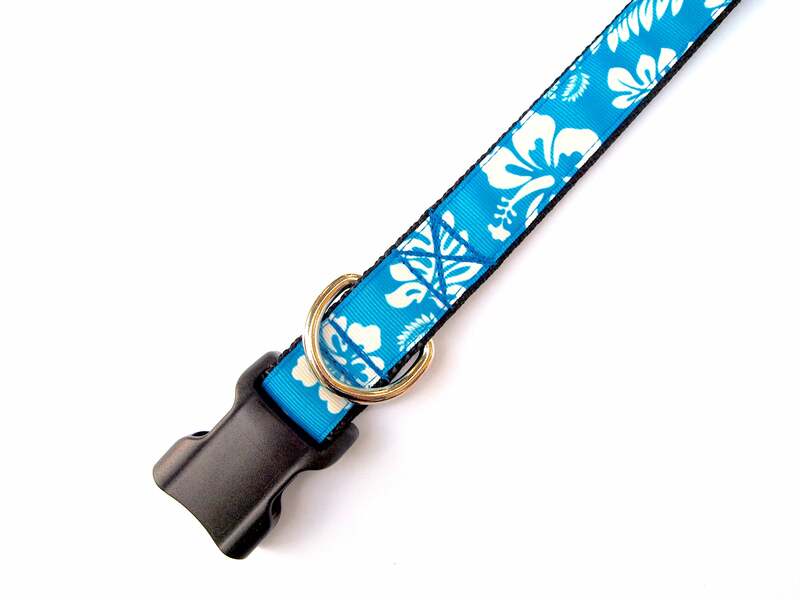 You change out your wardrobe in the summer don't forget the dog! 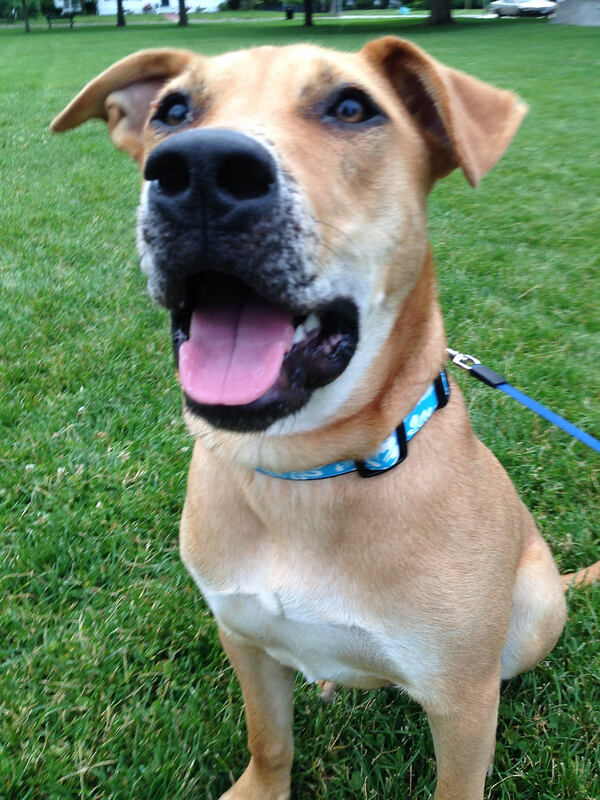 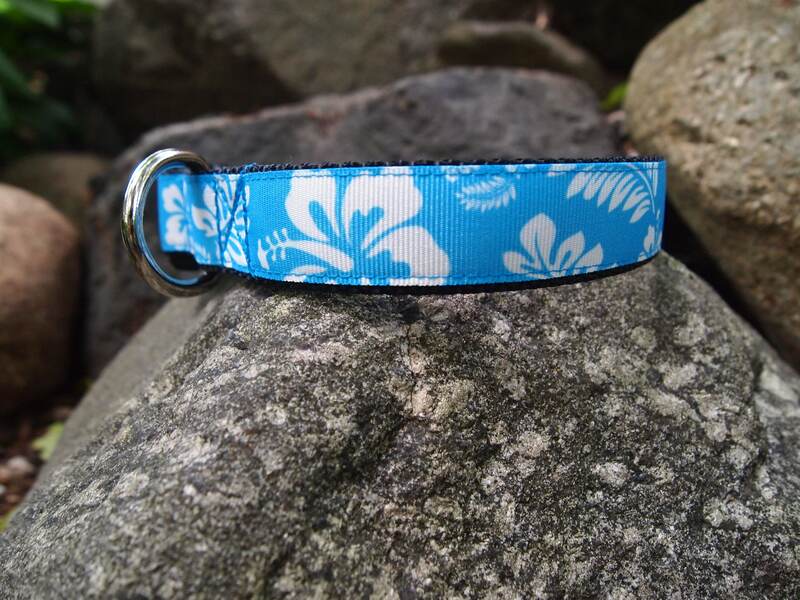 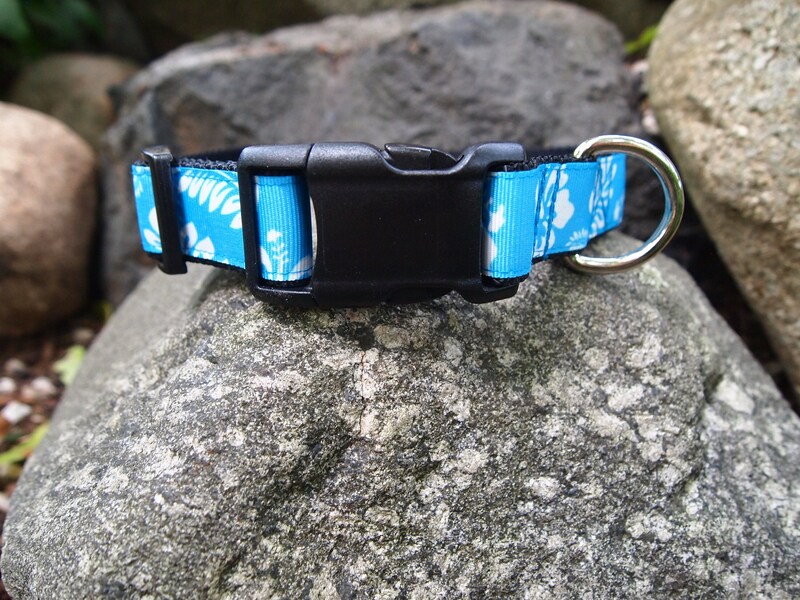 This Hawaiian blue dog collar is perfect for playing in the grass or walking at the beach! 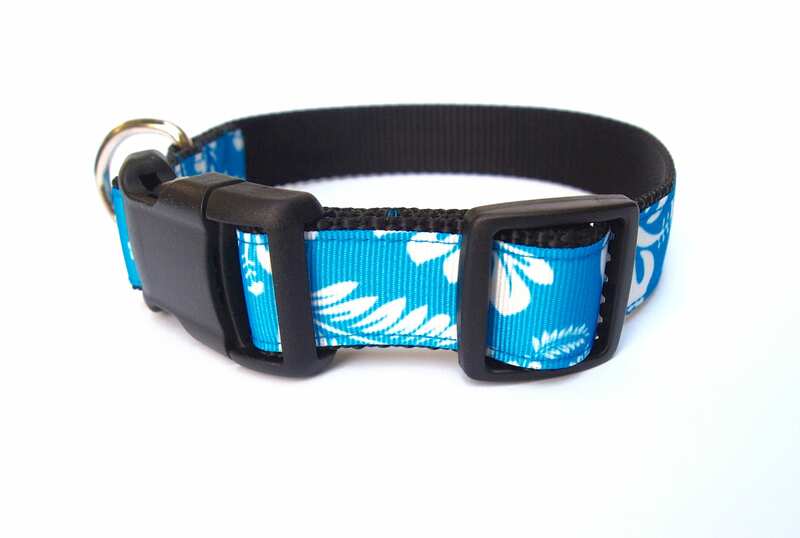 Brilliant light blue Hawaiian flower print grosgrain ribbon is sewn onto 1 inch wide black nylon webbing for this MEDIUM sized adjustable dog collar.